Three bridges have been determined to need preventive maintenance to extend their useful lives and to prevent their further deterioration. 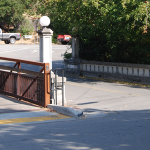 The Canyon Road Bridge was reconstructed in 1998 as a one-lane concrete bridge connecting Canyon Road to Cascade Drive over the San Anselmo Creek. The bridge is 33 feet long and 12 feet wide, with an asphalt surface. Nestled in a residential neighborhood, the bridge carries small utilities and has some graffiti and painting on bridge abutments. The bridge is intended to remain open during the repairs since a detour is not available between Canyon Road and Cascade Drive. However, there may be times the road will need to be partially closed during the day for construction. Construction is not anticipated until late 2014 or early 2015. 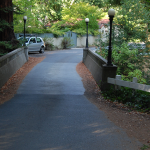 The Marin Road Bridge, built around 1930, is a two-lane bridge approximately 27 feet long and 27 feet wide. The Bridge is in a residential area, connecting Olema Road with Sir Frances Drake Boulevard (SFDB), a major arterial. The bridge is generally in fair condition, with some graffiti visible. During repairs (2015), the bridge may be partially closed during daytime working hours for a few days. Built around 1930, Spruce Bridge is approximately 22 feet long and carries two lanes of traffic, with narrow sidewalks on both sides. 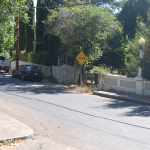 The bridge connects Spruce Road to Arroyo Road, which leads to Sir Francis Drake Blvd. Both the creek and the bridge corners are tightly encroached upon. During repairs (2015), the bridge may be partially closed during daytime working hours for a few days. September 21, 2016: See below for an update on the design and environmental review process for these three bridges.